Personally Yours will give you a brief look inside your favorite authors world. We know they write smokin’ books, but do they smoke with the Surgeon General and if they do, what? Are they left-handed or right handed? Take a personal look inside Author Timothy Stelly’s life. Enjoy Personally Yours! 1. Who is Timothy N. Stelly?- I am a burgeoning poet, aspiring screenwriter, novelist and essayist. My first love is satire, but sci-fi had become my bread and butter. I am a student of writing, still learning something new and interesting about my craft. 2. What are you passionate about? – Other than writing and church, I believe in service to others. I help whenever and wherever I can. As for my writing, I am obsessed with presenting thought-provoking writing to the public. 3. Why should the world take notice of you?- I’m not a cookie-cutter sci-fi writer nor of any other genre. In HUMAN TRIAL, which is technically sci-fi, the story focus on human relations and the idea that the biggest threat to man is man, and not an unseen enemy. Even in my upcoming novel, A JUNKIE’S PARADISE, which deals with a viral outbreak, the focus is on human dynamics and man’s willingness to exploit other men for their own survival. 4. Vanilla, Chocolate or Neopolitan? – Chocolate, rather its ice cream or ladies. I love my beautiful black women. No one has ever loved me stronger than those special beings. 6.You are the last man on earth with Coretta Scott King and Rosa Parks. Who would you choose to procreate with and why? – Both are beautiful and strong, but I think Coretta was younger, so I’d opt for the one who will be spry the longest. a. color -Green–all shades. It has always re[presented youth–translate that as promise. Plus, it reminds me of Omaha *(where I lived for 3 years) in the summer, with all its greenery. b. food – Meatloaf, mac and cheese and I’m an ice cream junkie. You can probably tell as much from my photo. c. movie – Hustle and Flow; though I think Do The Right Thing is the most important movie I’ve ever seem. e. drink – Vodka and orange juice. 8. Do you forgive regardless of what someone has done to you? Yes. It takes time, however. When I examine the offender’s track record, I find they usually have a history of doing dirt, so I pray that there be distance between me and anyone who wants to hurt me, my family or who harbors ill will toward me. That prayer is always answered. Pver the years I’ve lost quite a few (so-called) friends and ex’s. So be it. 9. If you could change your past would you? – In two areas. I graduated at sixteen, but when I attended college, I never focused on a major. If I could go back to that age, I would have attended a southern black college so I could see that part of the country and spend my youth surrounded by the folks I love most. I would have also waited to become a father. I was 18 when I became a father and by the time I was 23 had four kids and was making just enough to get us by. 10. Random thought– Love is blue. 11. Where can we find you on the net?http://www.stellyhumantrial.com and I post essays sporadically at http://www.useless-knowledge.com http://www.e-zinearticles.com You can “take the grand tour” and just Google “Timothy N. Stelly Sr.” I’m all over the place. 12. Fill in the blank with one word – To know Timothy Stelly is to Observe and listen to him with an open mind. Self-Published Authors; are you open to consignment, or is it strictly cash up front? I want my books in as many stores and locations as possible – BUT – people sure can act a fool when they get your book in their hands. Do they own your work? Do they control your destiny? Do they have a right to give you your chedda when they feel like it? And what is up with the 50-50 split? 60-40? 80-20? 100-0? Everybody Needs A Little Luv but dayum! When does business turn into greed that makes you to hungy to starve? Wherever He Is, he is. He is everywhere and so is he. I believe, so I am with Him and we are always together. I miss my daddy. But when you believe in Him it’s alright. I believe – I’m alright. So why the doubt? Why do I refuse to understand? Why do I have to remind myself to step out on faith? Faith, belief…Lawd help me. Should you believe what you can’t see or touch? Should you believe what you feel? I believe what I feel. Faith. Death. Death to me equals disappearing without a trace. How is that possible? My father was here. He held me, he talked to me, he laughed with me, he loved me and now he’s gone. The trace is memories. No one can disappear without a trace. There is something there, but maybe we haven’t seen it yet. When he first passed away I couldn’t remember anything. All the dreams I had were jumbled and he was never in them. Now I see him clearly – my trace is abundant. Confusion. Confusion equals chaos, which leads to fear. We fear the unknown. Do you believe what you don’t know? Faith; just hold on to faith. It was good to go back to Florida and talk to my daddy. A weird thought came to me. I felt I could dig deep in the dirt and open his casket so he would see me. STOOPID. I got a grip and just talked. I talk to him a lot, but talking in person always outweighs distance. I know he heard me. He hears me each and every time. I wonder will I see him again. When we die do we change? Do we forget? Do we still love and remember who we left behind? When I die will I see him? Will he want to see me? I believe. I’m still his babygirl, so the answer is yes. Doubt always gets on my nerves. It thinks it can shut me down since I don’t have my captain here giving me pep talks. Faith beats doubt all the time; straight flush, gin rummy, go fish. Whatever you choose to play, choose faith as your teammate – you’ll never lose. 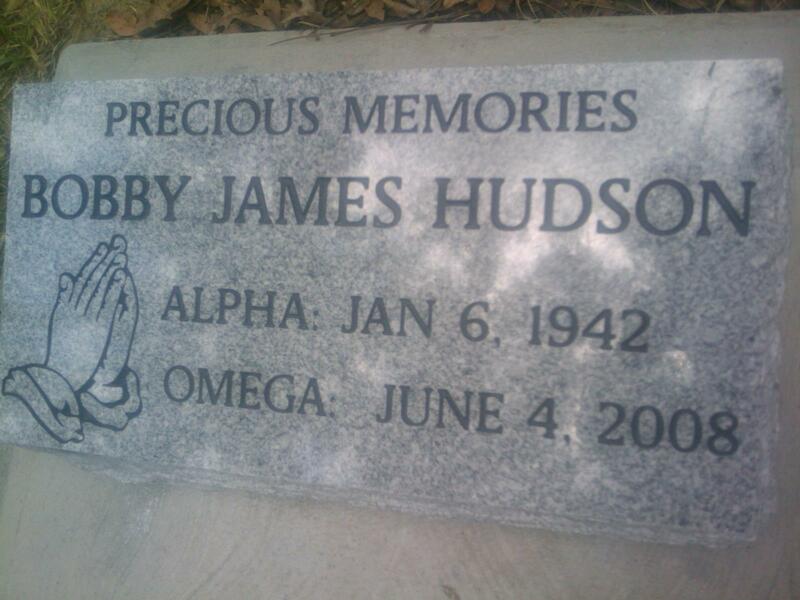 I took a picture of his headstone to see his name. I traced it and cried. My Doobah said, “Hey, that’s my last name. He has the same last name as me.” Thank God for shades. He was here, he is here. We say no more pain or suffering and that’s what I lean towards. My daddy was sick. I didn’t want him to be sick. We say that’s The Master’s Plan. Believe that His Plans never fail. Pain ceases, hurt subsides, but memories last forever. Wherever His Is, he is. I believe, so he is always with me. How do you say goodbye to the one you love? Is this even an option when you’ve invested your body, mind, and soul into your relationship? Charisse Farrell is a successful, beautiful corporate attorney who has it all, but when the love of her life David Richards betrays her, she has to reevaluate her future. Tempted by the desire to love again and her need for revenge Charisse is haunted by a demon from her past that turns her life upside down. When love knocks her down, Charisse has to get back up fighting. Fighting for love. Q:: Introduce us to your main characters. Who are your favorites and why? A:: My main characters are Charisse Farrell and David Richards, your modern day perfect couple in appearances. She is a beautiful, successful corporate attorney and he is a handsome, strapping CEO of his own financial firm. They were best friends growing up who loved each other for as long as they could remember, but now giving their relationship a try isn’t as easy as they thought it would be. Charisse is torn after David’s betrayal. David, on the other hand, doesn’t feel his betrayal was severe enough to jeopardize their relationship. My favorite characters are actually the supporting characters: Terry Wright, because he epitomizes the true definition of a good man, and Kyla Donaldson, Charisse’s best friend, because she keeps you laughing with her over-the-top personality and all-about-me swagger. Q:: Take us inside Chocolate High. What are two major events taking place? A:: The first major event is when Charisse finds out that David has betrayed her. The second explores what extreme a woman will go to get her man. Q:: What makes you powerful as a person and a writer? A:: I’ve always been a person with something to say. Moreover, the purpose of my message has changed the lives of many within my community. I am only one person but I understand my actions can effect positive change. I pay it forward as often as possible and I try to reflect this same philosophy through my writing. Yes, it’s drama in my writing but there is also a message for the reader to walk away with. The general premise of my writing is: Sometimes you have to go through something to get something. Q:: Who are your mentors? Where do you find your inspiration? A:: Jessica Tilles has been an invaluable mentor throughout this process. A lot of times in this industry other authors or industry insiders aren’t willing to share what they’ve learned in their journey, but Jess was the exact opposite. Her guidance exposed me to the business without the high-priced lessons a mistake can cost you. My Mom, a gifted writer in her own right has also been my mentor and biggest supporter from day one. Watching her craft a story or poem has inspired me to strive to create great stories and memorable characters. I find inspiration in everyday life. Everyone has a story to tell and I try to breathe that life into every character that graces the pages of my book. I always try to put a twist or something extra special into my characters to remind my readers of people they know or have met in passing or in their own lives. Creating this connection is inspiring. 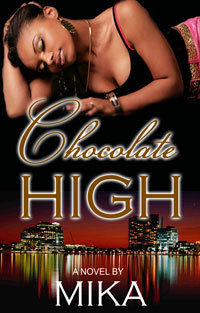 Q:: Ultimately, what do you want readers to gain from Chocolate High? A:: I want my readers to understand their “self-worth.” This is important because before a person can tackle relationship issues or any issue affecting their life, they must know and understand their true worth. Having this understanding sets the limits to what we will and won’t tolerate in a relationship. It’s okay to let go. Society has us so convinced that it’s better to have a piece of something than nothing at all, so it seems at times in relationships we lose the true essence of who we are as a person to hold on to a love that was doomed from the start. Q:: How can our readers reach you online? Share with us your online contact info. A:: For the latest news and information, readers can reach me at my Web site: http://www.mikabarnes.com or by email mika@mikabarnes.com.